I’ll be suspending my regular Happy Friday link round-ups until after Christmas and doing some gift round-ups instead. I’m obsessed with reading gift guides and I hope you are too. 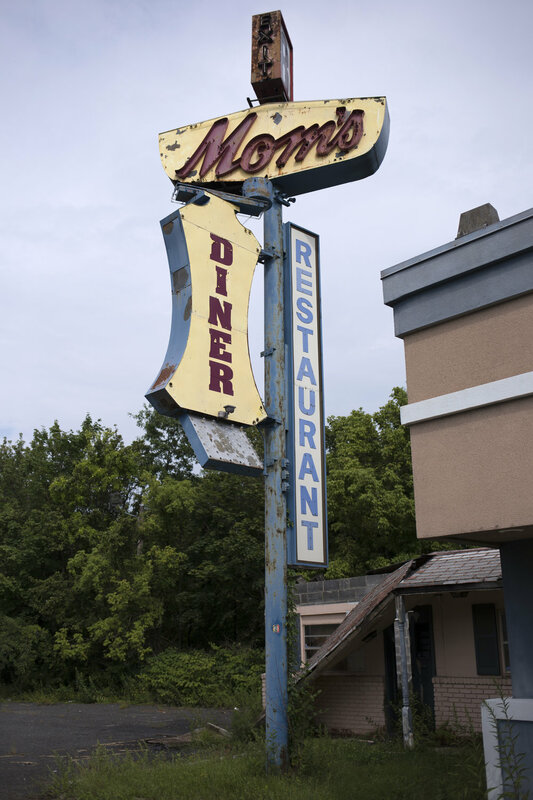 So grab a cup of coffee and a plate of eggs because first up is a guide for diner lovers. 1 / A keychain to declare your diner allegiance to the ultimate in fantasy diners, Luke’s. 2 / For those days when you can’t make it to your local breakfast spot, flip your omelettes like a pro with this spatula. 3 / Fact: syrup tastes better when it’s poured from a classic slide-top diner syrup bottle. 4 / It’s not a true diner unless it has simple, glass salt-and-pepper shakers in an easy-to-clean metal caddy on every table. 5 / Name a more iconic duo. I’ll wait. 6 / I’ve never actually seen anyone order diner pie, but they sure do look pretty on the counter, especially when they’re on a nice cake stand. 7 / Sadly, Tabasco is the hot sauce you’ll find most often in diners, but the best ones know that Cholula is the superior choice (sometimes you just have to ask for it). 8 / Everything looks better with a face, especially food. These prints are perfect for any size kitchen and look good alone but really shine as a set. 1 / I have this clock in my bathroom and it’s hard to be stressed that I’m running late for work when the bearer of bad news reminds me of a classic diner. 2 / I have a similar kettle and I’ve so far resisted painting eyes on the side, but it’s probably inevitable. I don’t have room for a coffee maker in my play kitchen, so a kettle looks nice sitting on my stovetop while keeping what little counter space I have free of gadgets. 3 / Most of the coffee mugs in my collection come from local diners (and they’re sadly not usually available online), but you can’t go wrong with this classic shape and striped design. 4 / Replace your boring Post-its with guest check pads for quick notes. 5 / I’m not a huge fan of statement mugs, but this is a sentiment worth remembering. 6 / If you’re brewing coffee for one (*raises hand*) this filterless pour over coffee maker is cheap, efficient and environmentally friendly. 7 / Just like syrup, creamer just tastes better when it’s poured from a diner style stainless steel covered milk creamer. 8 / The paper version of this iconic Greek coffee cup is getting harder to find at diners, but the ceramic version can be used over and over again. 9 / One year I received not one, but two of these sugar skull spoons from friends for Christmas and it’s the perfect stocking stuffer for your spooky, coffee-loving friend. 1 / Ketchup on everything (but especially french fries, hash browns and breakfast sausage). 2 / I know diners aren’t really known to have a toaster pastries, but this clutch would be the perfect breakfast accessory and it has an interior zippered pocket to hold your cash (a lot of classic diners are cash only). 3 / Fake foliage is a big part of classic diner decor, and this fake pothos plant looks just like the real thing (years of dust not included). 4 / Most diner pendant lamps are vintage, but luckily you can find newer versions pretty easily. 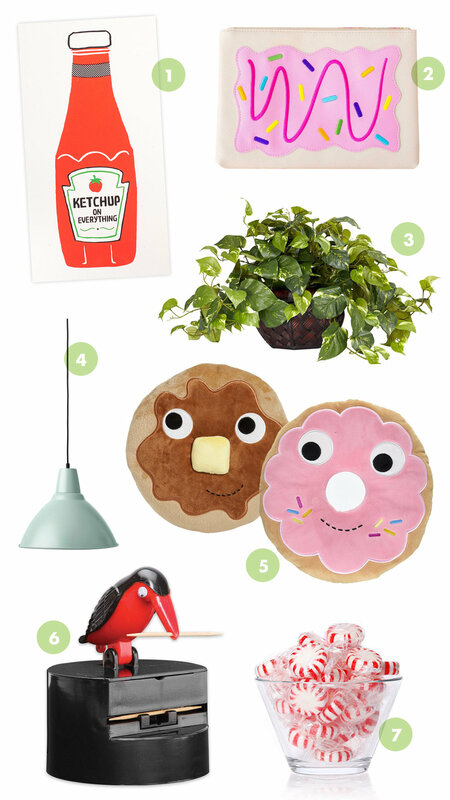 5 / Bring your love of breakfast into the bedroom (or the living room) with a plush donut or stack of pancakes pillow. 6 / Toothpicks are usually available by the register and this bird dispenser is both whimsical and hygienic. 7 / Don’t forget to grab a mint before you leave the diner (or your house) to freshen up your coffee breath. The very perfect gift for a diner lover might just be to take them out for a genuine diner breakfast. 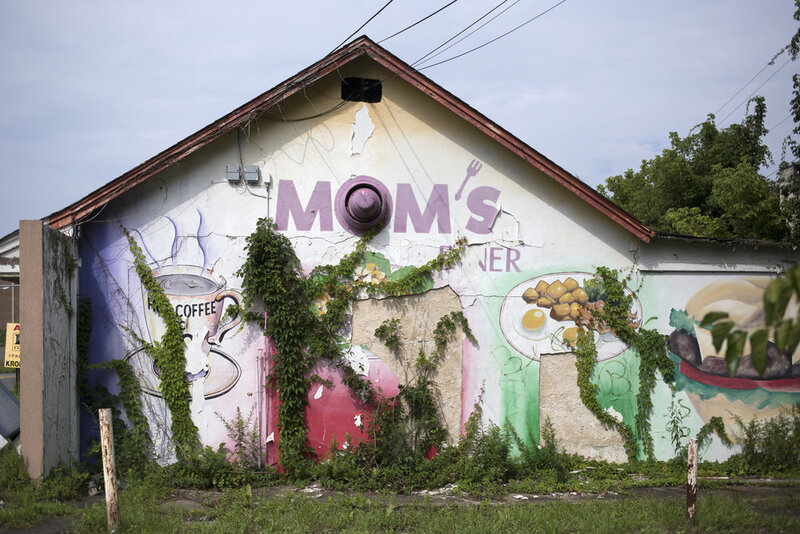 Some diners offer gift certificates, but supporting a local diner (before they close due to rent hikes or catch on fire) by patronizing them frequently—and tipping well—is a gift for everyone involved.